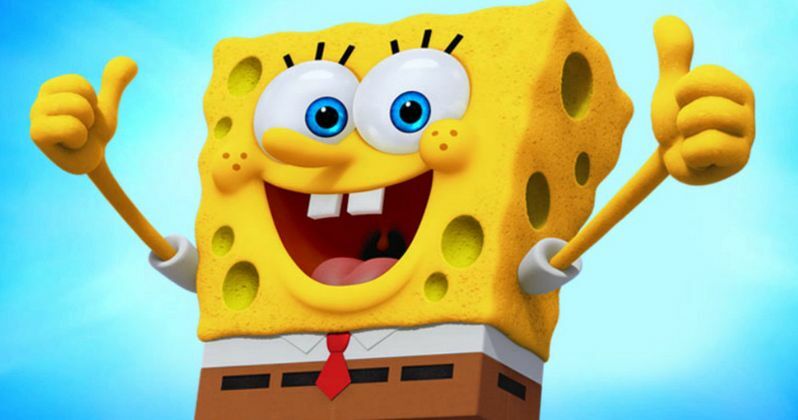 With The Spongebob Movie: Sponge Out of Water just a month away from hitting theaters, Paramount Pictures and Nickelodeon have declared the first Monday of 2015 'The Day of Positivity'. And to celebrate, they have released a new music video featuring Spongebob himself, and his pet Gary. 'Thank Gosh it's Monday' celebrates the most important day of the week, at least according to one bright yellow sponge who lives in a pineapple under the sea. This Day of Positivity is meant to bring fans together to celebrate SpongeBob's most admired quality: His enternal positivity! Along with the new music video you see below, Viacom Networks (which includes Nickelodeon, MTV, VH-1 and Comedy Central) will be running exclusive and unique spots inviting viewers to celebrate this new and exciting holiday all day today. SpongeBob's fans can also visit DayofPositivity.com to upload and share "Positive" selfies and receive a special "Positivity" message from SpongeBob himself. The Spongebob Movie: Sponge Out of Water is an all-new 3D adventure that's as wild and funny as its name. For the first time, SpongeBob SquarePants, the world's favorite sea dwelling invertebrate, comes ashore to our world for his most super-heroic adventure yet.